There are good and bad things about blogger/Qype* events. The good thing is that you usually get to try a lot of little samples of food that give you a better idea of the restaurant’s offering. The bad is that by the time you’re done, you’ve taken about 40 pictures and have way too much to write about that you procrastinate like mad. 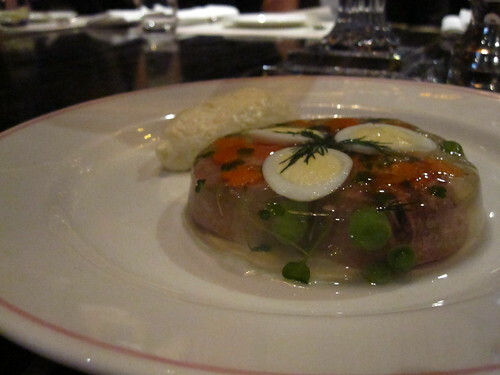 Hence, my Bob Bob Ricard post nearly three weeks after I first went. 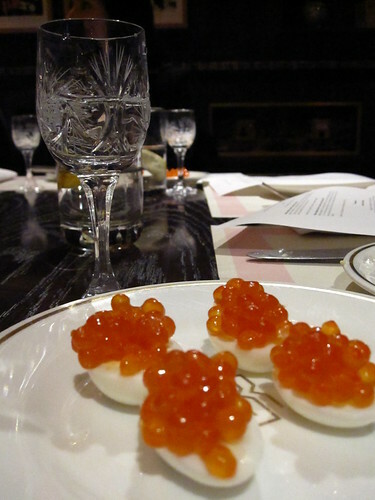 Bob Bob Ricard in Soho is a gorgeous art deco style restaurant with a Russian and British theme. It’s an odd one, I’ll admit – but a very welcome proposition, completely unique to anywhere I’ve been to in London. Whether it’s their famous ‘Press for Champagne’ buttons (as shown in my nifty collage above) or their lovely rhubarb gin and tonic – attention to detail is key. 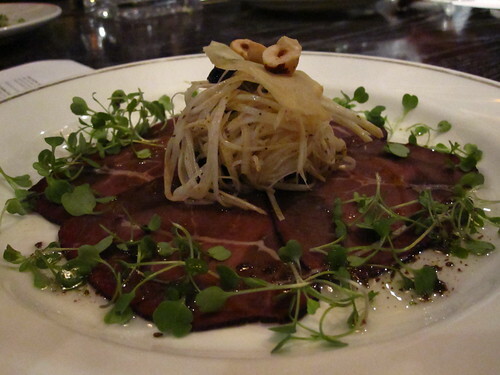 They have some pretty ‘weird’ menu items, so if you’re of the faint of heart and the idea of jellied ox tongue turns your stomach, best keep to the hamburger. 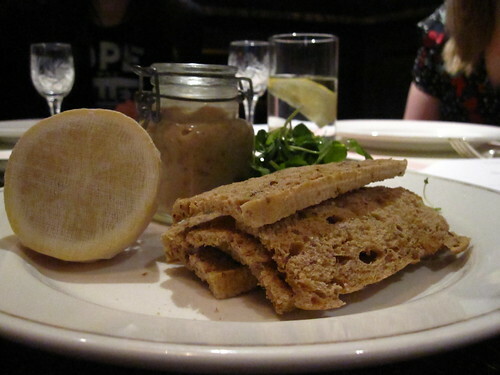 All of our starters were paired with specially chosen vodka pairings. The general reaction from the table was that the safe shrimp choice was the best, but I think I preferred the salmon roe. 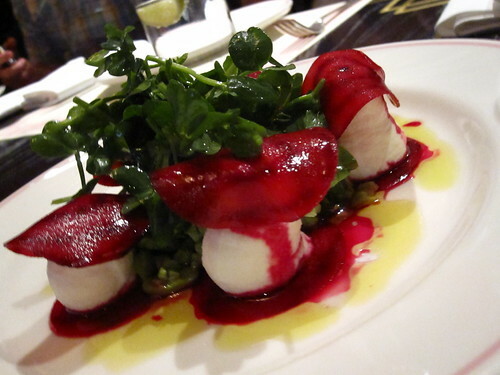 We went next for more substantial starters, which is really where Bob Bob Ricard started to shine. 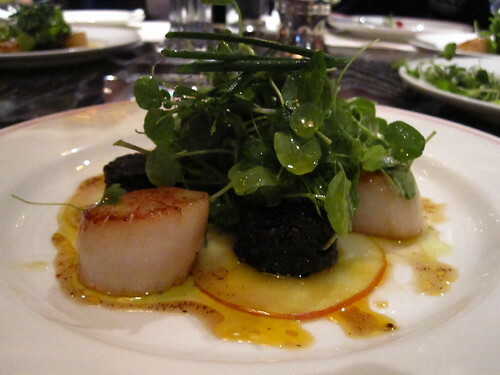 However, the star of the entire meal was the Seared Scallops with Black Pudding. Before it came to the table, we all joked about how sick of this dish we were having seen it on MasterChef every single episode. That was, until we tried it. The black pudding was the best I’ve ever had in my life and the scallops were absolutely perfect. This dish is a 10/10 for sure. It was a special, but my god I hope it goes on the menu. 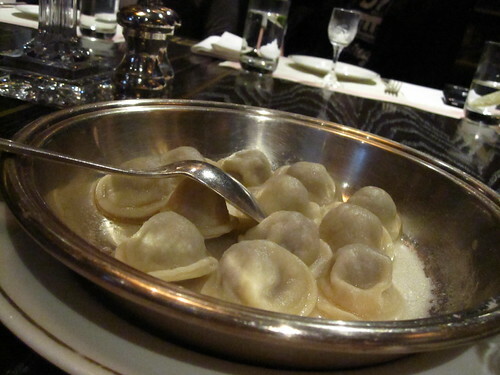 Also lovely was the Meat Pelmeni, a sort of meat dumpling which was served by dipping in a bit of vinegar and topped off with a tiny amount of sour cream. This was the most Russian-y of dishes, and I was surprised by how much I liked it. 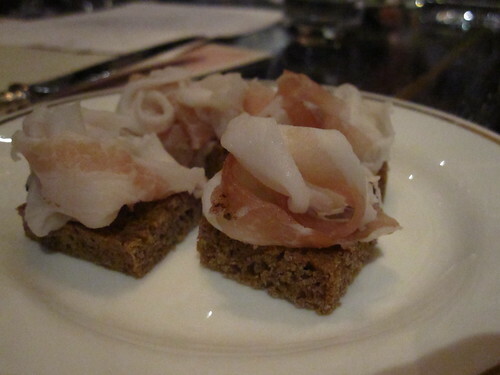 Further down of the list was Salo on Rye , which is essentially pork fat on rye. Being the type of person who always trims the fat off of my meat, I found this too rich. Even after tasting all of these, we were supposed to have a roast, and I swear every single one of us declined. It was simply too much food (especially because we were planning dessert!). However, it does give me an excuse to go back. 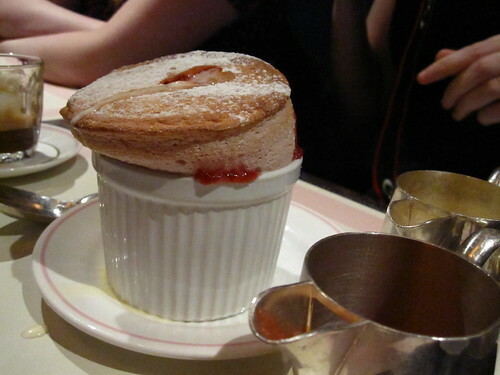 A perfectly cooked souffle served with a bit of fanfare. It was punctured and filled with a lovely light cream and strawberry sauce, which is what you can see oozing out of the cake. 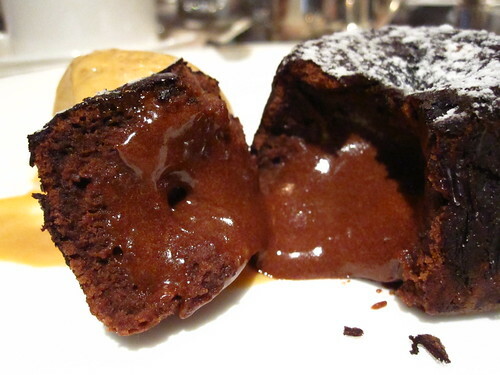 Amazing gooey centre and a delicate sweet and salty ice cream. Even though I had a sufficiently large food baby by this time, I couldn’t get enough. 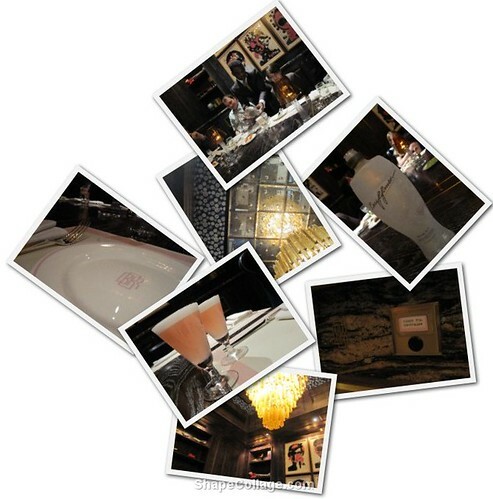 So, yes, Bob Bob Ricard and Qype – thank you. I can’t wait to go back. *Being fully transparent and all – this meal was sponsored through Qype, and so no one who attended paid for it, but rest assured – that does not influence my reviews in the slightest.